This article guides you to record your screen + audio with Kazam in GNU/Linux. For short, this is how you can do screencasting in GNU/Linux, like what you do with Camtasia Studio or such program in Windows. 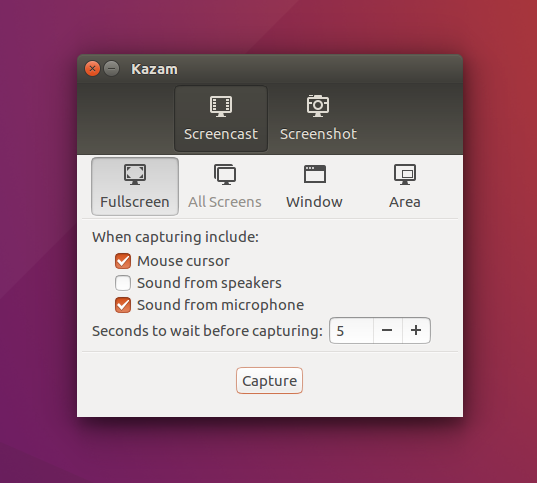 Kazam is GUI based (no command line) and is very simple to use (has very few buttons) so I hope by reading this, soon you can do your screencastings in GNU/Linux. Enjoy. Plug your microphone jack in. For example, I can record my voice even just with a Samsung headset (from a handphone). 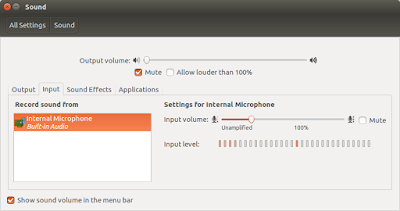 Go to Sound Settings, set the input volume to suit you needs. You can try to speak up on your mic and see the voice-level bar here. Set the output codec, set the FPS value. I recommend you to use .webm VP8 video format (with OGG Vorbis audio format inside). Read FSF's article about free video format and recommendation about OGG. Your FPS value depends on your need and your hardware capability, I set it for 5 and it is good enough. Recording process starts while the countdown screen ends and you see the Kazam red icon appearing on the tray. 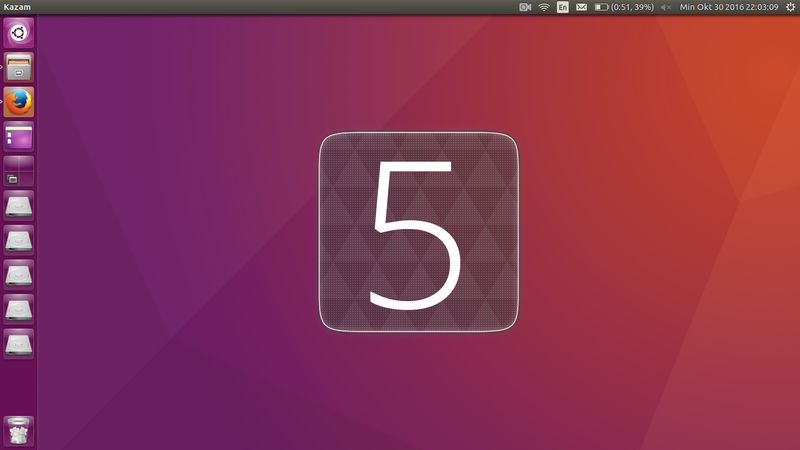 Personally, I like this countdown screen the most, thank you for Kazam developers. 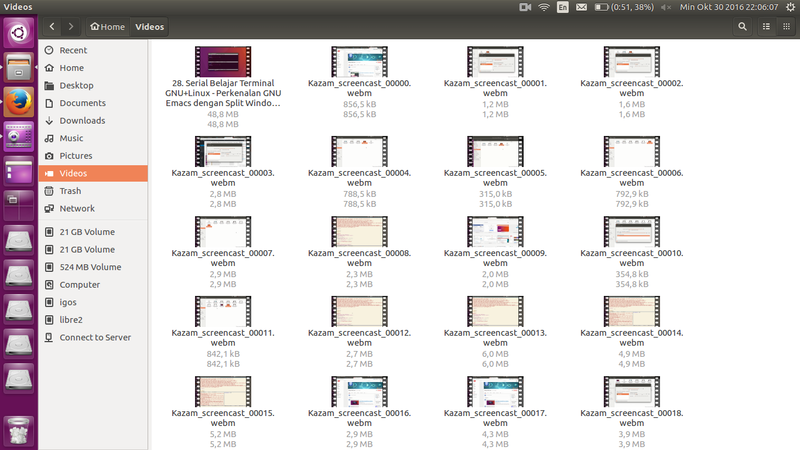 To end the recording so Kazam saves the video for you, click on the Kazam icon > select Finish. Then see your $HOME/Videos directory you should find the video. 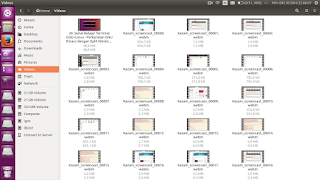 For example, these are my videos recorded with Kazam.